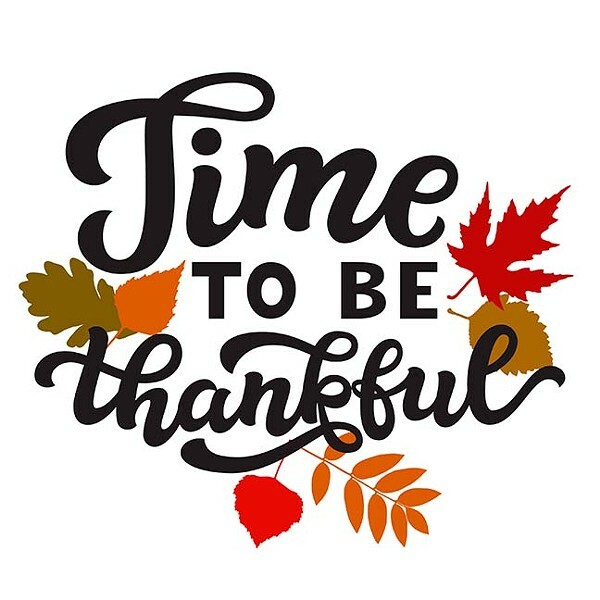 It is a tradition—OK, it's a cliché—that, around this time of year, columnists compile a list of things for which they are thankful. I haven't done it in years. It's for damn sure that I haven't done it the past couple years, but after the Blue Ripple/Swell/Wave/Whatever, I'm feeling more optimistic. Martha McSally's return from the dark place. During the campaign, she made a calculated (and, in hindsight, quite foolish) decision to go (as I wrote) Full Frontal Trump. The voters didn't buy her line of crap and, when I listened to her spew it, I'm not really sure she bought it, either. It was a winnable race (a decorated military veteran Republican running for something in Arizona, duh! ), but she blew it. As the votes trickled in following Election Day, turning Kyrsten Sinema's tiny deficit into an ever-widening lead, big-shot national Republicans were urging McSally to go on TV and make a disgrace of herself (a la Florida's Rick Scott) by claiming that "liberals were trying to steal the election." To her eternal credit, McSally was having none of it. She kept quiet and when it became obvious that she wasn't going to win, she made a very gracious concession speech. That's the Martha McSally I used to know—a nice person, thoughtful, with bad (but not toxic) politics. Welcome back. One last thing: McSally received almost 200,000 fewer votes than Doug Ducey. That's a stunning number. That means a lot of Republicans who voted split their votes and went Ducey/Sinema. The ONLY way that can be explained is as a repudiation of Trump's racist and mean-spirited behavior. But when I listened to Right Wing Radio In The Morning the other day, there was nutbird Kelli Ward claiming that it was not a repudiation of Trump and stating that it is she (Ward) who deserves to get McCain's seat, not McSally. Yeah, that's gonna happen. My wife and kids. My grown-up children are both badass engineers. They're polite, athletic, smart as all hell and they both still go to church without having to be nudged in that direction. My daughter has an engineer boyfriend and they are the nerdiest couple of all time. They go out to dinner and then work on a jigsaw puzzle together. Born to be wild, huh! Hallmark Channel Christmas movies. What a great time of year! From before Halloween until right around New Year's, Hallmark shows made-for-TV Christmas movies 24 hours a day. Dozens, or maybe even hundreds, of movies, all with the exact same plot, differentiated only by different casts of attractive white people. Somebody has a bad case of the Bah, Humbugs and they somehow end up in a small town where Christmas is all Hallmark-y and the magic just happens. My wife really enjoys them, so if she's happy, I'm happy. There are only a couple problems. Every third movie stars Lacey Chabert and I can't help it. Whenever I see her, I think of Gretchen Weiner in Mean Girls. The other problem is more serious. Arthur C. Clarke, famous for writing 2001: A Space Odyssey, once wrote a short story called "The Nine Billion Names of God." In the story, some scientists use a computer to compile the aforementioned names of God. According to legend/dogma, once the list is compiled in full, God will end the Universe. That's just the End of Times. What happens if Hallmark runs out of permutations and combinations of Christmas-themed titles? What if a couple years from now, we're watching Christmas's Christmas-y Christmas? Another thing I'm thankful for is that with the Christmas movies on, there are no reruns of Murder, She Wrote to stumble across while channel surfing. I've tried to explain to my wife that watching Murder, She Wrote and NCIS will make one old before her time. She says that since she works out every day and teaches high-school kids, she has a built-in firewall against premature aging. I'm not willing to take that chance. Finally, I'm thankful that I don't live in Spokane, Washington. Setting aside the sucko weather, Spokane is represented in the state legislature by Matt Shea, who is, quite likely, the craziest elected official in all of these United States. Apparently believing that The Handmaid's Tale doesn't go nearly far enough, Shea circulated a memo, entitled "Biblical Basis For War," calling for the United States to become a "Christian theocracy" in which "non-believers" are shot to death. In SheaWorld, there is a Christian army that invades and takes over territory and then kills all males who refuse to obey his version of Biblical law. We can only guess what Ned Flanders Squared wants to do with all the women who would be left behind. Shea blames the "counter-state" (which is the double-secret-probation form of the Deep State) for releasing the memo to the public. I'm extra thankful that there are a whole lot more of us than there are of him.